Roofing Company Ladue Missouri Free Roof Estimates - Call us today! 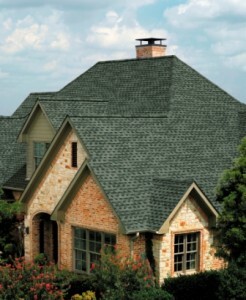 Storm Solutions Roofing has helped Ladue residents with building quality roofs in zip code 63124 for nearly a decade. As a GAF Master Elite roofing contractor, we hold a certification held by only 3% of all roofing companies in the United States. It is so important that the people that work on your most valuable asset – your home – are also your neighbors. We’ve been locally-owned and family-operated since our founding. We know what it means to be a Ladue homeowner, and we will give you the best possible service to ensure that your life gets back to normal as fast as possible after a storm. Whether you need a fast roof repair or a full roof replacement for your Ladue home, you can count on Storm Solutions Roofing company as a family-owned, local business to get the job done right!